Anoop Electrical is a well known manufacturer and supplier of Multicore PVC Insulated Cables, Single Multi Core Cables, Flexible Cables, Digital Coaxial Cable and CCTV Cable. 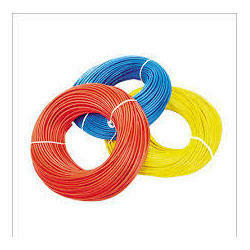 We are providing a comprehensive range of Multicore PVC Insulated Cables, Single Multi Core Cables, Flexible Cables, Digital Coaxial Cable and CCTV Cable. These products are highly appreciated for their performance and strength. All these products are developed by skilled workers employing innovative tools and machines at the production unit.